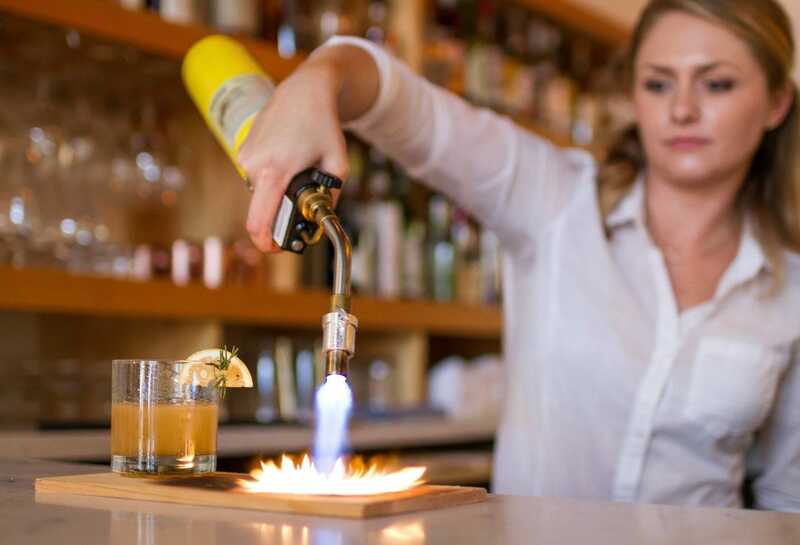 All over the United States, as summer slips into her fall sweaters and wraps up against the coming chill, bartenders create tasty libations to warm us from the inside. Join us on a tour of the country’s best fall cocktail recipes. 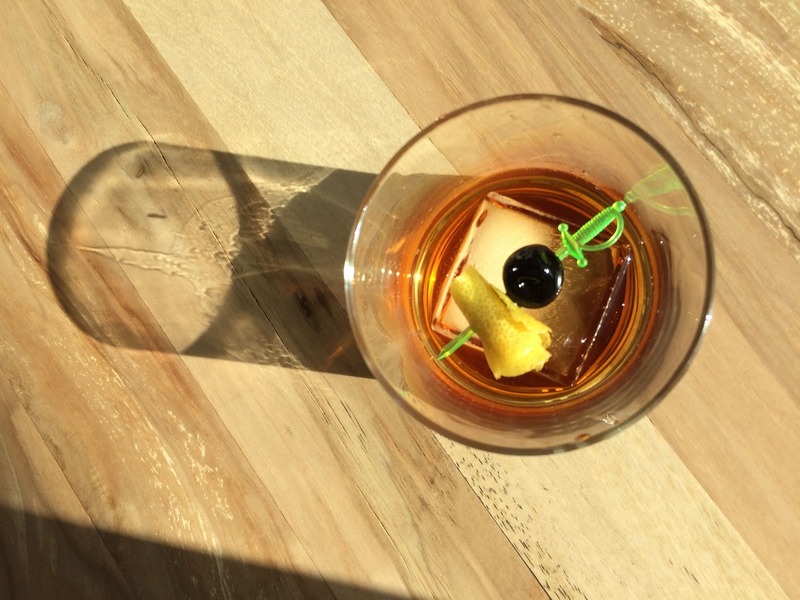 “Autumn is fall and ambrosia translates to Nectar… the elixir of life, the drink of the gods and immortality!” says bartender Mason Salicetti of New York City’s Crimson & Rye. His enthusiasm is catching. Add all the ingredients into the shaker except for the Apple Cider and Bitters. Fill the shaker with as much ice as you can and shake vigorously. Strain into a tall glass filled with ice (leave enough room for cider), top with Apple Cider and the 2 dashes of Whiskey Barrel-Aged Bitters and finally top it with a cinnamon stick and three black peppercorns. Adams County, Pennsylvania – which surrounds historic Gettysburg – is one of the largest apple growing regions in the U.S. There, hard cider is the drink of choice. 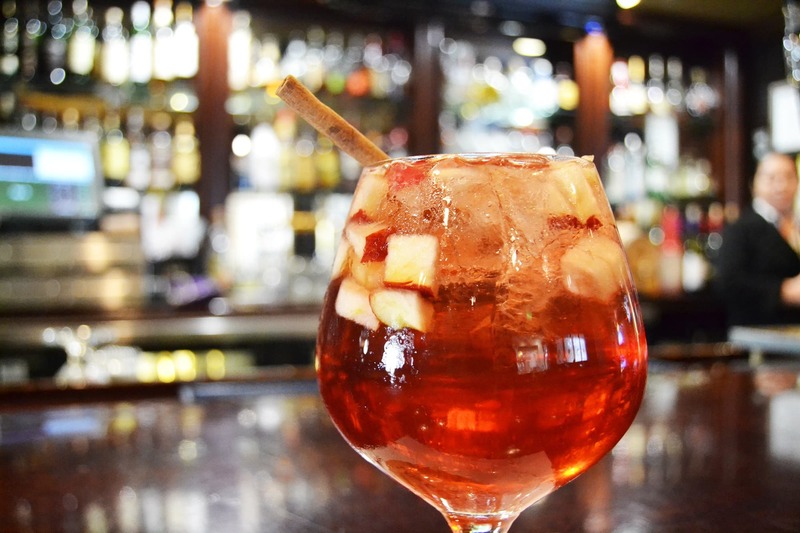 At One Lincoln, the bar inside the iconic Gettysburg Hotel, they use a local hard cider as a base for their Cider Sangria. This will make a single cider sangria cocktail, but you may want to multiply the recipe and make a pitcher full. Washington DC’s Rye Bar in the Rosewood hotel, offers a smoky coffee cocktail to warm you up as you sit in leather chairs looking over the C&O Canal in Georgetown. 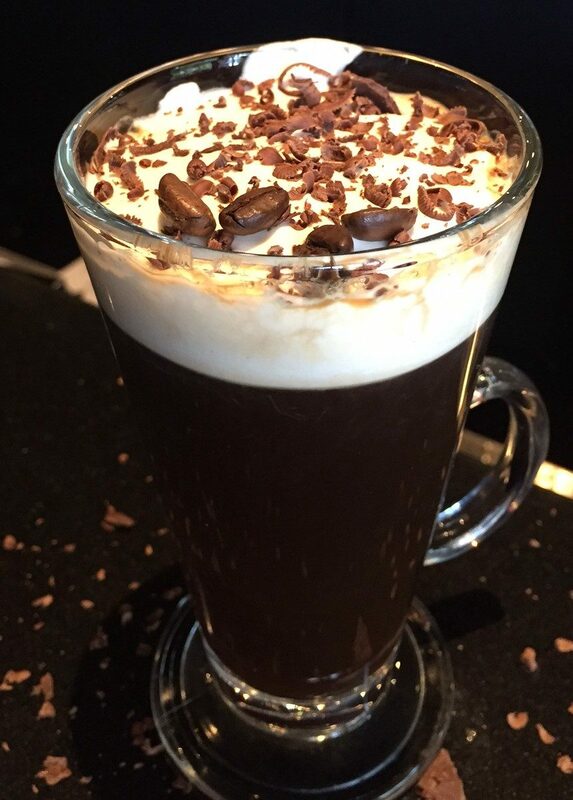 Mix together, then top with hot water and a fresh cream float. Finish with shavings of dark, spicy chili chocolate. Add all ingredients into mixing beaker, add ice and stir well. 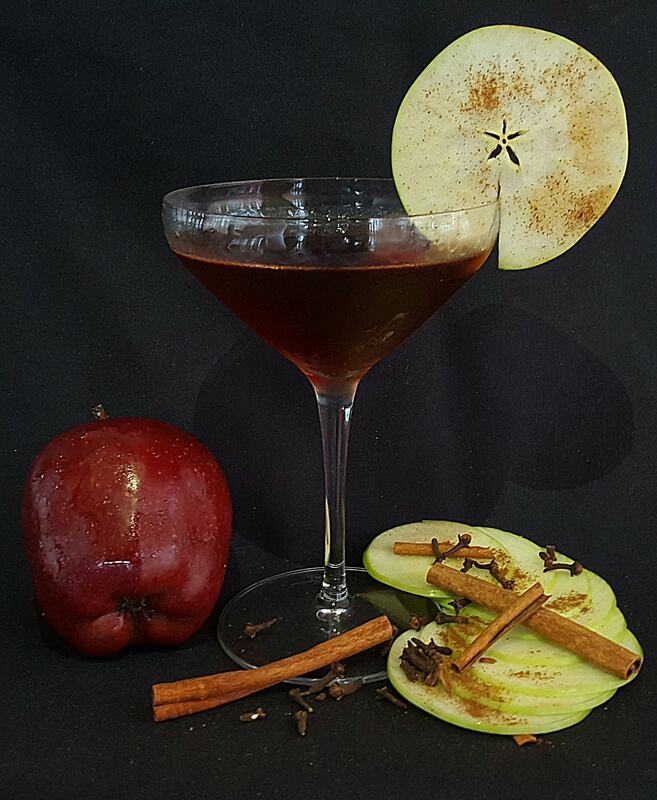 Strain into a chilled cocktail glass garnished with spiced apple chip garnish. Of course Austin is going to do things a little differently. L’Oca d’Oro, a contemporary Italian restaurant, offers the unique Leone Sour cocktail. It’s named after Sergio Leone, a famous Spaghetti Western director. Shake. Strain over rocks. Top w/ Soda. Garnish with lemon and pickled blueberry. 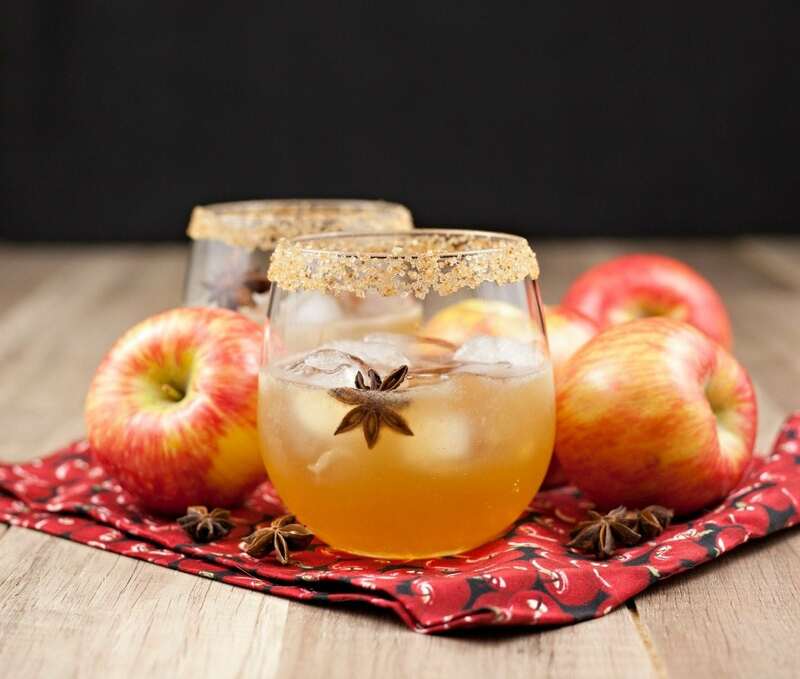 The Dell Cove Spice Company in Chicago provides an autumn cocktail recipe that mixes the flavors of a summer classic cocktail, but with a twist: the spice of gingerbread with the sweetness of Midwestern apples. 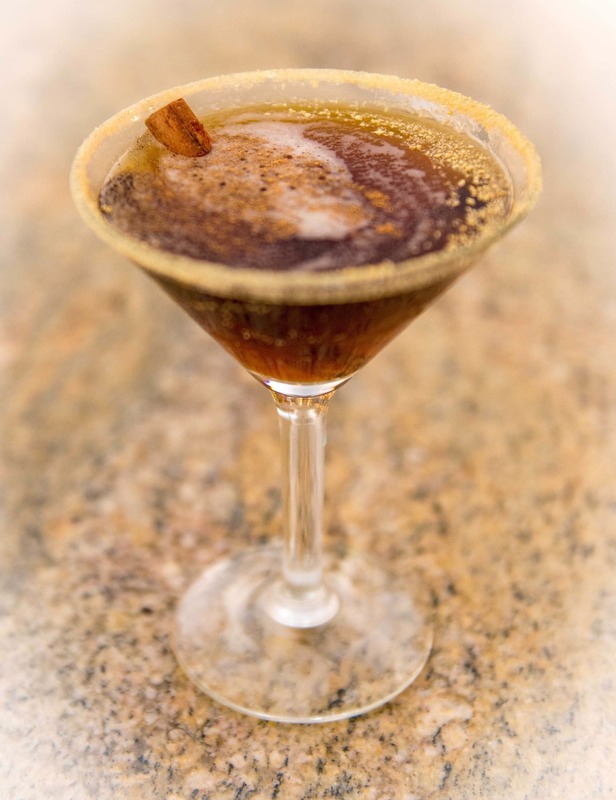 Parents can enjoy a Gingerbread Spice Margarita after apple picking with the kids. Rim your chilled glasses with the gingerbread-flavored cocktail sugar. Fill glasses with ice and set aside. Combine tequila, apple cider, lime juice, agave nectar, cinnamon and one tablespoon of the gingerbread sugar to a cocktail shaker full of ice. Cover shaker and shake vigorously until shaker is chilled. Strain into glasses. Add a star of anise for garnish and serve. Michigan isn’t known for its maple syrup, but it should be! Locals have been tapping their maples for years, and this drink is a fabulous way to utilize the nectar of these trees with leaves ablaze. 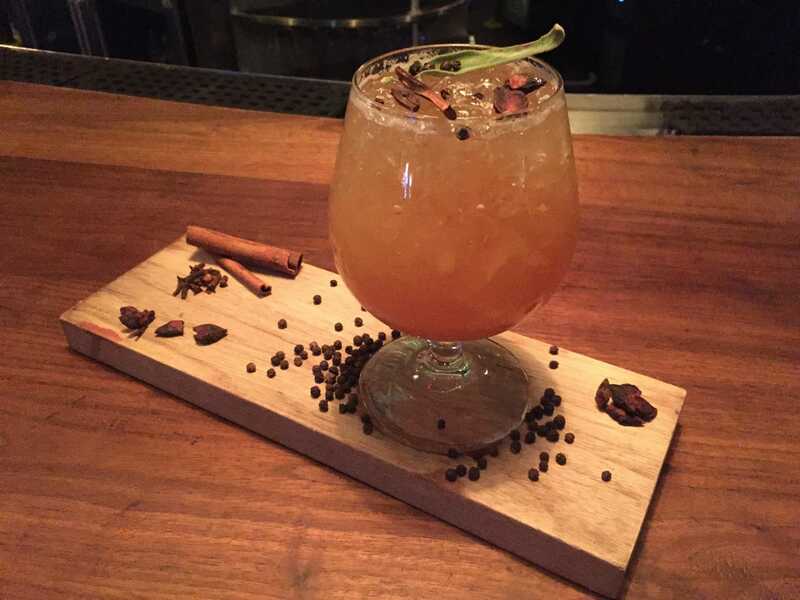 Bartender Amos Arinda created the Maple Trea using the best, full-flavored ingredients available. Maple syrup from Snow’s Sugarbush in nearby Mason, Michigan is the highlighted flavor. The base liquor is scotch, which provides a smokiness reminiscent of burning leaves. 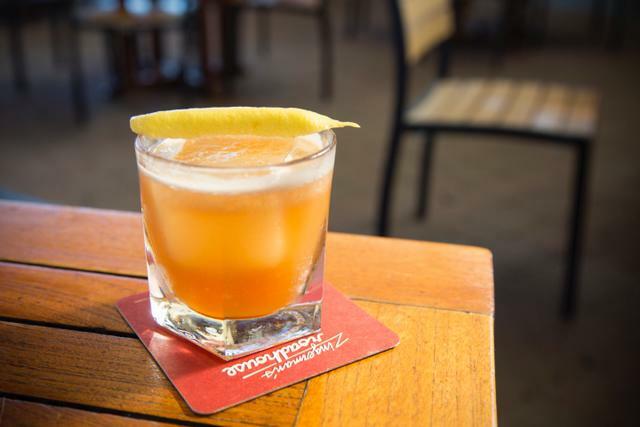 The iced tea at Zingerman’s Roadhouse has a hint of bergamot that provides a floral astringency. Shake and strain over ice, garnish with a lemon tongue. Greg Janacek of Colorado Springs eatery, Over Easy, offers his solution to the fall doldrums with a latte-inspired cocktail. You’ll wish the Pumpkin Spice Latte were served at your local coffee house. Combine all ingredients in a shaker with ice and shake well. Strain into a martini glass rimmed with crushed graham crackers and serve with cinnamon stick to garnish. In Seattle, fall intensifies the damp chill in the air. Eden Hill’s Chef/Owner Maximillian Petty offers the flavors of fall, with a hint of smoke to evoke the warming fires of the season. Torch a cedar plank and set a rocks glass upside down on it (to capture smoke). Be sure to save these autumnal recipes. Just save the image above to Pinterest so when you’re thirsty for a tasty beverage this fall, you can shake things up. You might as well follow Travel Mamas on Pinterest while you’re at it! I bet you’d like to take a look at our picks for the best Halloween cocktails, too. Trust me, they’re scary good. Which of these fall cocktail recipes are you going to try first? Aren’t they beautiful? Add a bonfire and you’re all set! Autumn Apple is first on my list! This post is like a cocktail dessert bar. Love it! Mmmmm. I would definitely visit that dessert bar…. That smoked coffee and the cider one really caught my eye!! Definitely time to plan to use these and invite my girlfriends over for some sips! Anything smoked is good for me! Especially in fall. I would never have thought to combine mezcal and coffee! The smoked coffee sounds amazing but they all look pretty good. Thank you for sharing this post! I just want to wrap up in a blanket and sip one, don’t you? These all look like really yummy fall drinks. I would love to try the cider sangria and the maple trea. Me too. I think the PNW Old Fashioned looks fun, too, if I can keep from burning the house down when I torch the plank! I bet some of these would be delicious as virgin drinks as well. Absolutely! Certainly the pumpkin spice latte 😉 but I think the cider margarita would be lovely without the tequila. These are really creative cocktails from around the country. The pumpkin spice latte cocktail is intriguing! I know! I had to read the recipe twice to understand there was no milk in it, though. Well these all look delicious! Can’t wait to try all of them! Come back and let us know if you try some! Goodness all of these fall cocktails look amazing! I would not turn any of them away, but that Smoked Coffee beverage would probably be first on my must try list. Seriously. Maybe I could get away with one at lunch time. Oh this rocks! I really need to try some new drinks this fall. I don’t think we made any new fall cocktails last year. All of these drinks look so delicious. I will have to try them all starting with the Cider Sangria. Yes! Do it! I think you should make a pitcher full and have a party. Oh wow! How I wish I could try all these cocktails this fall! They all look awesome! These cocktails look like so much fun! I love the season themed ones! That lemon sour looks perfect for me. Who knew about all these variations on cocktails?! This is one of the reasons why I love fall. I love the sights and smells of the spices. I am going to have to show these to my friends so we can get started on them. Yes. Yes, you are. Enjoy. I don’t drink but would love to try these in a virgin version. They flavor combinations sound wonderful. Just the thought of fall weather, sweaters, spices, and nice warm drinks makes me all warm and fuzzy inside! Nothing beats a cup of warm spiced apple cider on a chilly afternoon! Try adding star anise to your spice mix, as well as some black pepper for a kick. Fall. Cocktails. Say no more! These all look and sound wonderful! I would love to attempt to make a few of these for a dinner party I have coming up. This is such a fun post! 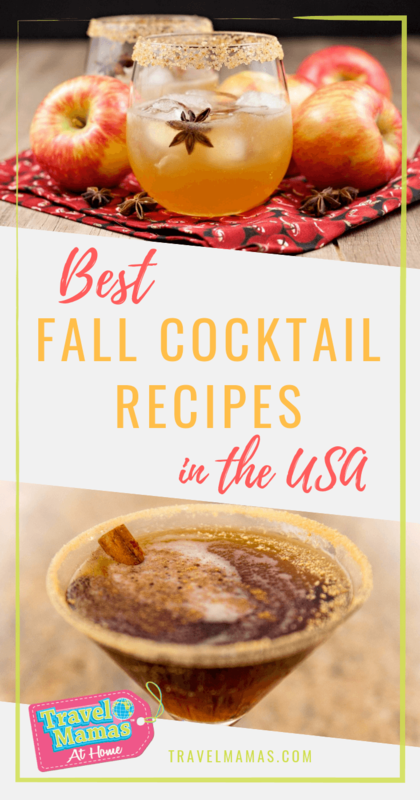 It gave me some really good ideas for some fall cocktails. The cider sangria sounds delish! This is great! everyone loves a good cocktail, and to match it with the season makes it all the more fun! Thanks for all the different options. Glad you like this list of fall cocktails, Nikki! Happy autumn to you!